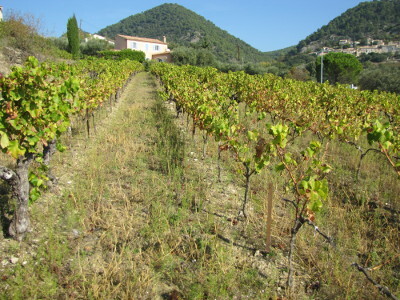 The vineyard at Domaine de l'Amauve is very fragmented, as very often in Provence. It includes 25 parcels of vines for 11.5 hectares (around 29 acres). 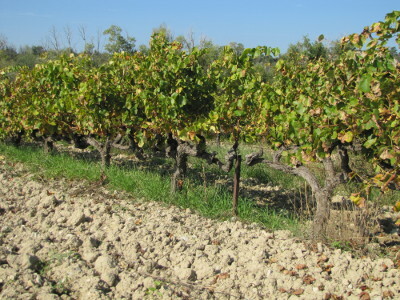 The majority of the vineyard is intended for the productionof AOC Côtes du Rhône Villages SEGURET wines, in red, rosé, and white. 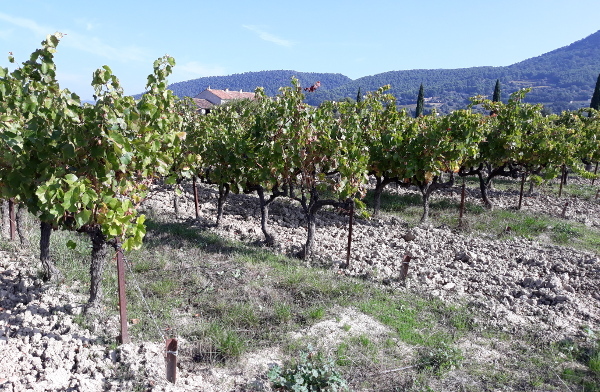 Some plots located along the river Ouvèze (on the Western limit of the Appellation) are intended for the production of wines VAUCLUSE I.G.P. red and rosé. 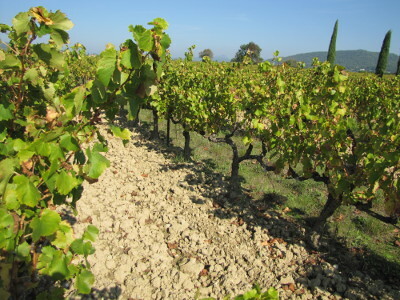 At the Domaine de l'Amauve, vine growing is developped to promote the life of the soil. Tillage is carried out one row of vine every two rows, and controlled natural grass is covering the other rows. The grassy row is the reservoir of life of the vineyard. It hosts plants, earthworms, insects, some of which are predators of parasites of the vine. It also allows the easy passage of the tractor and sprayer for the treatments of the vine in the event of persistent rainy weather. The estate is in conversion to Organic Farming. It will be certified Organic in 2019. The treatments necessary for the protection of the vineyard are made with simple elements such as copper sulfate and sulfur. Treatments are made at the lowes possible dose and decided according to the meteorology, the presence of diseases or parasites in the environment and the stage of evolution of the vine. Production is deliberately limited in the vineyard to produce grapes suitable for the production of high quality wines. The limitation of yield is natural in old vines. Green harvest is practiced in young vines as a means of grape selection and yield control. This green harvest operation takes place in June and July. The soil who characterizes our Appellation comes from the hills of the Dentelles de Montmirail massif to which the village and the vineyard are leaned. Over time, the erosion has reduced the clays, marls, sands, and gravels that have covered slopes and terraces and ensure a good diversity of soils from one place to another. 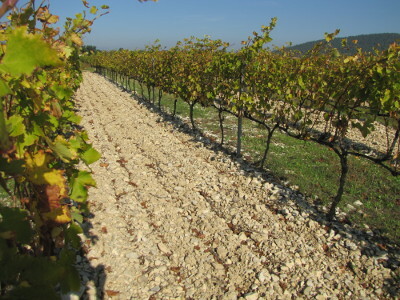 The limestone rocks in the hilly massif give very limestone soils and thus an evolution of the wines towards the minerality. The exposure of the vineyard on the Western slopes of the hilly massif brings us the sun later. The duration of exposure of the vineyard to the Summer heat is shorter, which allows to keep more natural acidity in the wines and give them a nice freshness and an iùmportant keeping potential. Various types of soils on the estate: . .
Gravely soils with clay, marl and sand coming from the hills.
. Soil with clay and marl comings from the hills. Soil with sand and Clay below the village, on the slope of the hill. The grass keep the soil in place when there is storms. Various varieties of vines present on the estate: . .
Black grape varieties to make red wines: Black Grenache Typical and main grape variety for South Rhône wines.
. Syrah It came from the North of the Rhône Valley.
. Mourvedre It came from Spain a long time ago. Makes long living wines.
. Cinsault Typical grape variety. Makes fruity wines.
. Carignan Productive variety of vine present only to make "Vin de Pays" and "Vin de Table". White grape varieties to make white wines: Viognier A superb grape variety which gives very aromatic wines, coming from the North of the Rhône Valley.
. Grenache blanc Typical variety of vine in the Rhône Valley. Brings white fruit characters.
. Clairette Also typical of the Rhône Valley. Brings floral character to white wines.
. Ugni-Blanc An old grape variety, typical of the South Rhône Valley. Bring a lot of acidity and freshness to the wite wines.